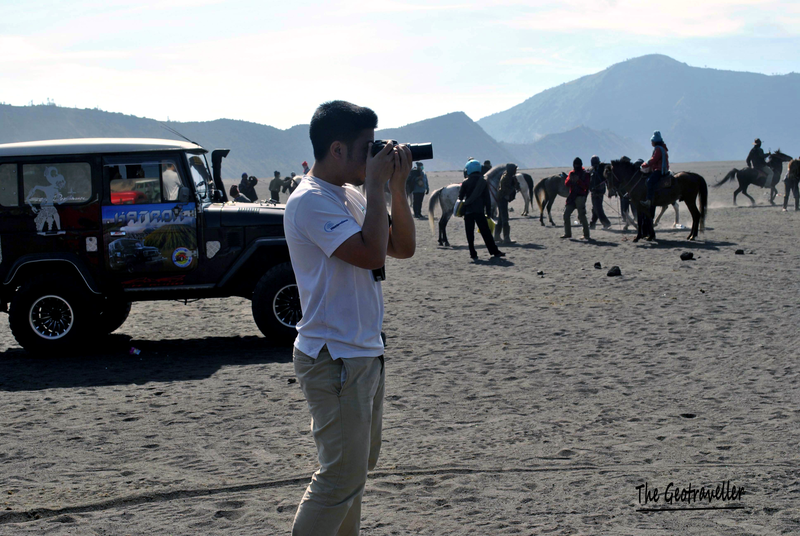 In September 2014, I went for a back packing trip to Java. Yes, Java again. For your info, I’ve visited Java in 2013. (check my previous posts here). and did not get to see what I wanted to see. 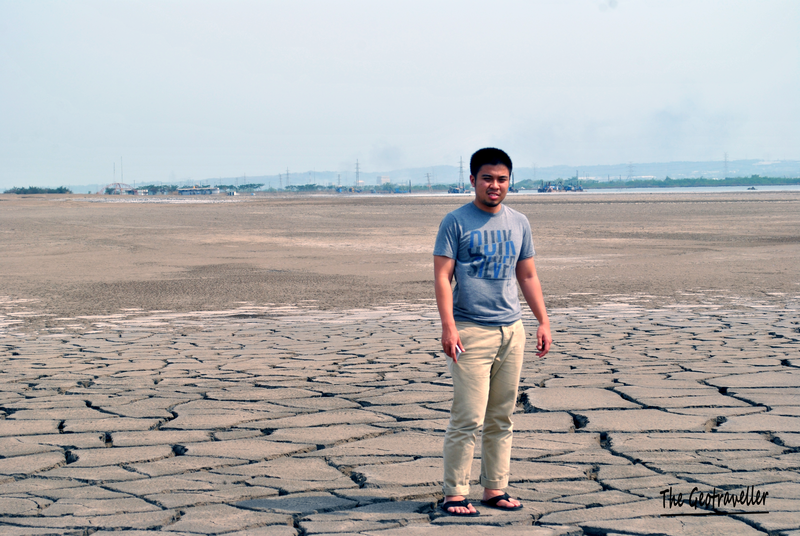 This time around, I went there during dry season. The trip was thoroughly discussed and planned with my colleague offshore. This time around, instead of road trip, we traveled by train from Jakarta to Malang and finally to Banyuwangi. We booked train ticket here. The journey took us about 21 hours! Yes, it was that long and actually unpleasant. We bought tickets on economy carriage and it costs us around Rp. 35000. It was very cheap which obviously means less comfy. For 14 hours from Jakarta to Malang, I was not able to sleep at all. The seat was upright and hard. The space was too small I could not move my legs and people just cramped and even slept on the floor. That was one unforgettable journey. When the train stopped at Semarang, I was ready to leave the train and use other mode of transportation but I stayed anyway. Just another 7 hours that I had to go through though. Finally, at 7am, we arrived in Malang and had breakfast. Thankfully we got to rest for few hours. In Malang, we walked around and visited a cafe. According to my friend, Toko Oen is famous for the classic design and was established during Dutch era. But the ice cream did not taste that nice though and freaking expensive. Later, we stopped to sleep at Agung Mosque for 2 hours before continuing our train journey to Malang. 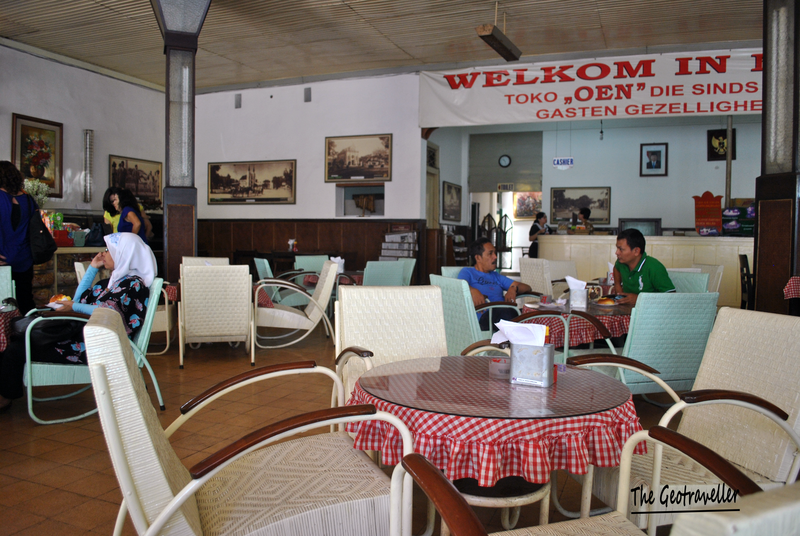 Toko Oen, a classic cafe which was opened during Dutch era. At 4pm, we left Malang. The carriage was the same but with lesser people. So, it was not that cramped. The cost was Rp. 6500. At one station, we stopped for 45 minutes to change the locomotive from one end to another. I was astonished by the fact that train locomotive could be changed like that. 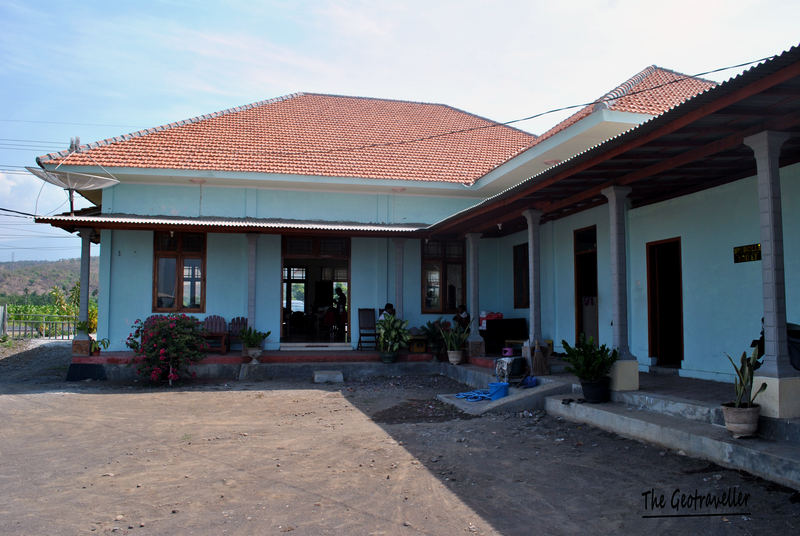 We arrived in Banyuwangi and was picked up by a sopir (driver). We were immediately brought up to Ijen foothill. It was very cold. 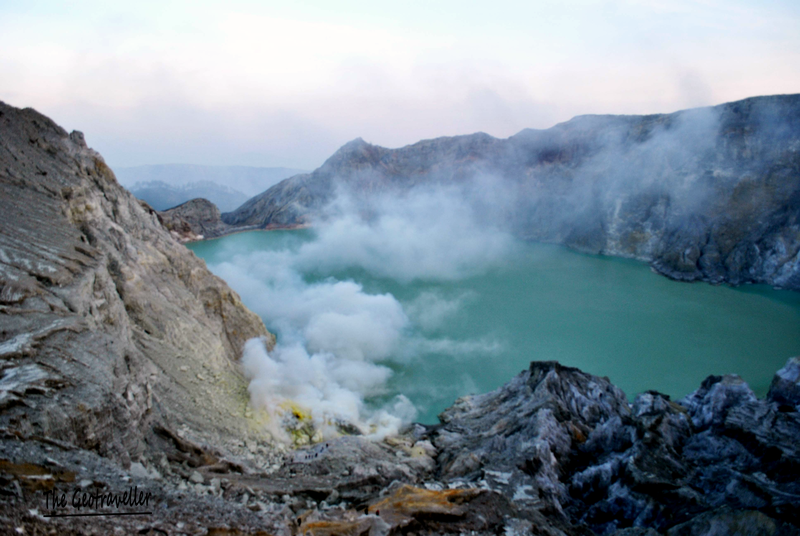 So, we began the hike to Ijen crater at 1am with a local guide name Agus. He was very friendly but actually we didn’t really need a guide. The hike was not hard at all except going down to the crater. The fee was high too especially to foreign visitors, so avoid using guide if possible. This time around the hike took only 40 minutes and down to the crater. This time around I got to see the blue flame with my own eyes. Only 2 of this in the world. Another one is in Alaska. I was mesmerized but got scared to get close to the flame and worried by the effect of the poisonous gas actually. Too bad I did not have a tripod to take a still photo. Apologize for the smudgy photo. I did not bring my tripod. The blue lava was stunning. 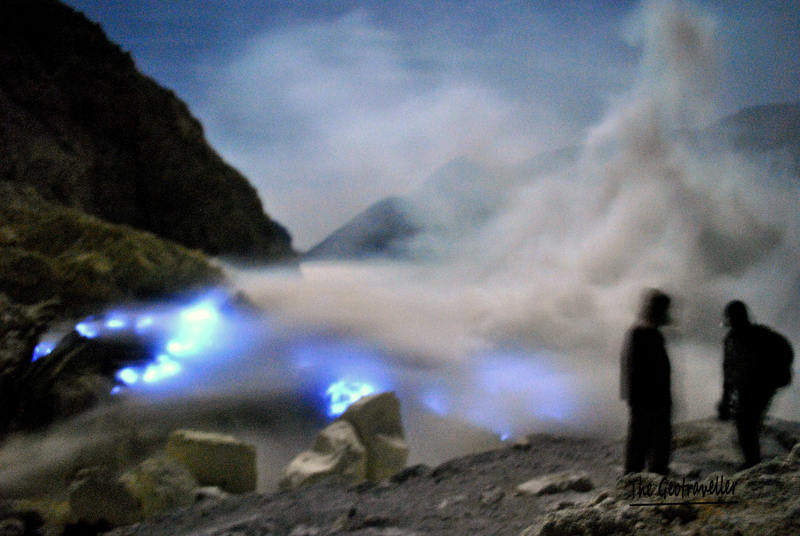 The blue flame from the edge of crater. Sun started to appear and the blue flame could not be seen anymore. Since we arrived early, we had to wait another 2 hours for sunrise. The waiting was really horrible. It was really cold and I was surprised with the chilly temperature in tropical region. 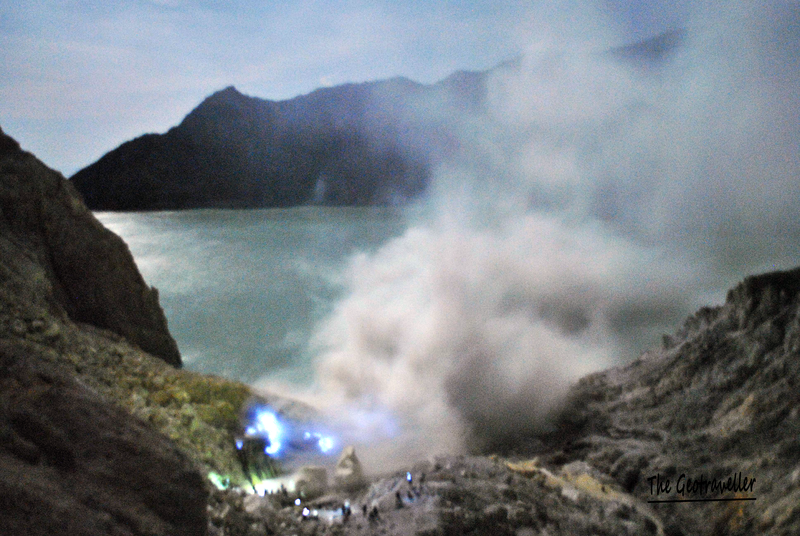 Moreover, Ijen was not that high though. So, please make sure you bring enough layers. I was already exhausted from the journey and from the lack of sleep. I just wanted to sleep on the way to Bromo later. 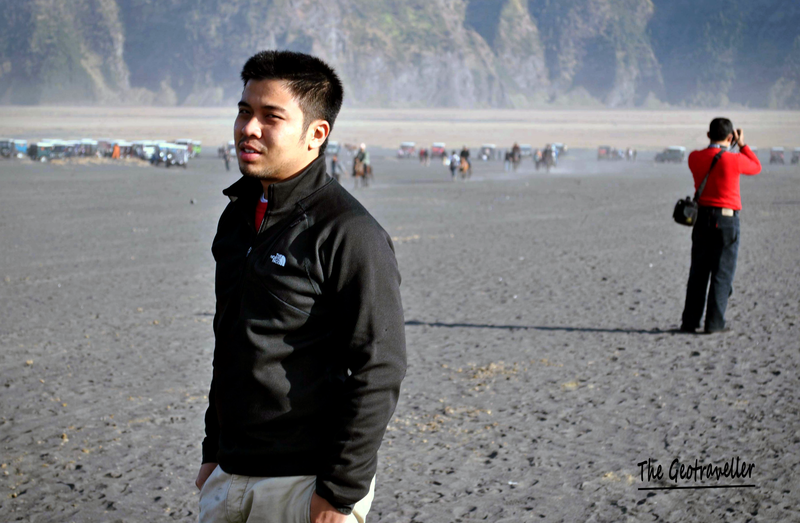 Right after sunrise, we hiked down and drove to Bromo with the car. Another long journey, so I just slept it through. 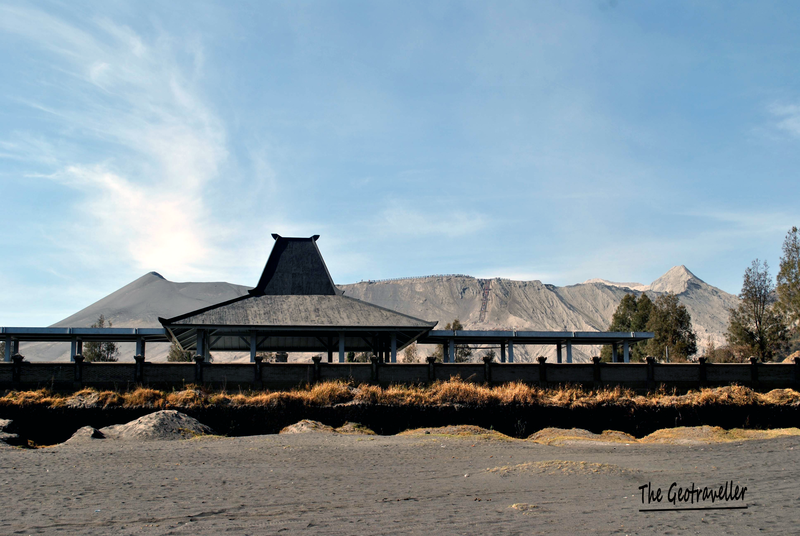 Restaurant at a house on the way to Bromo. 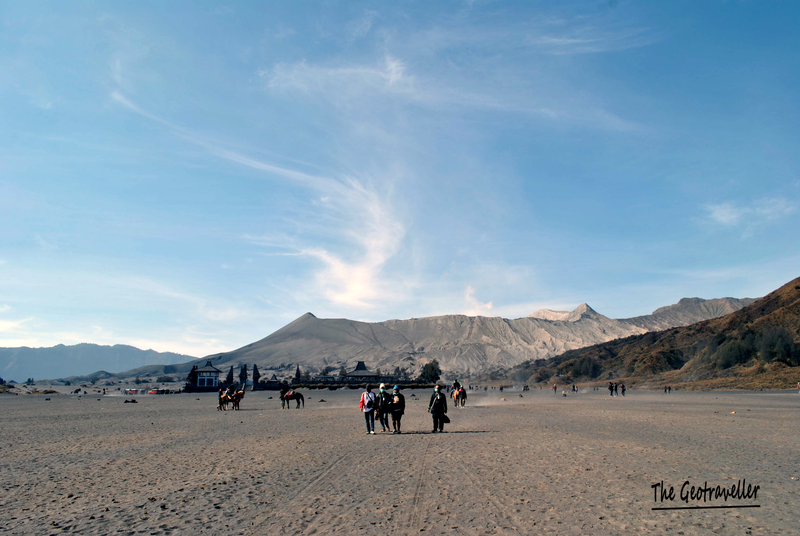 We arrived late afternoon at Bromo and stayed at a home stay. 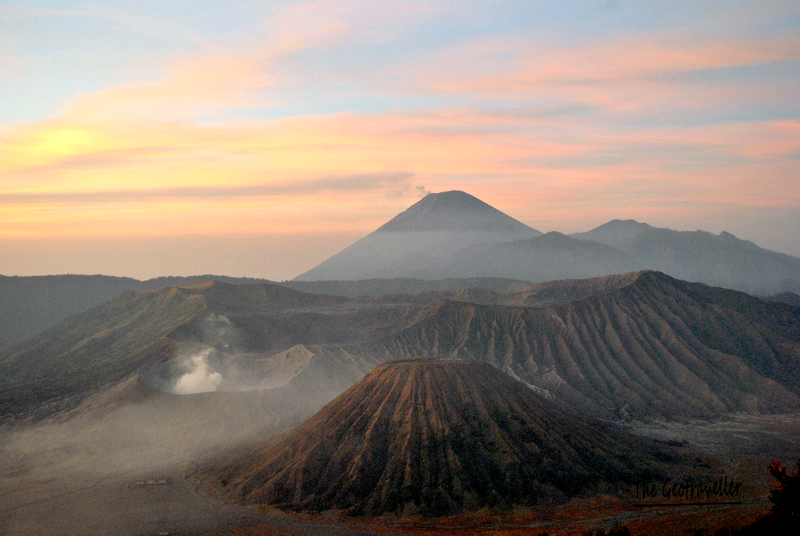 On the next day, I once again witnessed a beautiful sunrise overlooking Mount Semeru and Bromo. Early in the morning at 2am, we went up with jeep and waited for sunrise. And what an awesome experience it was. The view was much better without clouds. See the pictures from my previous trip here. 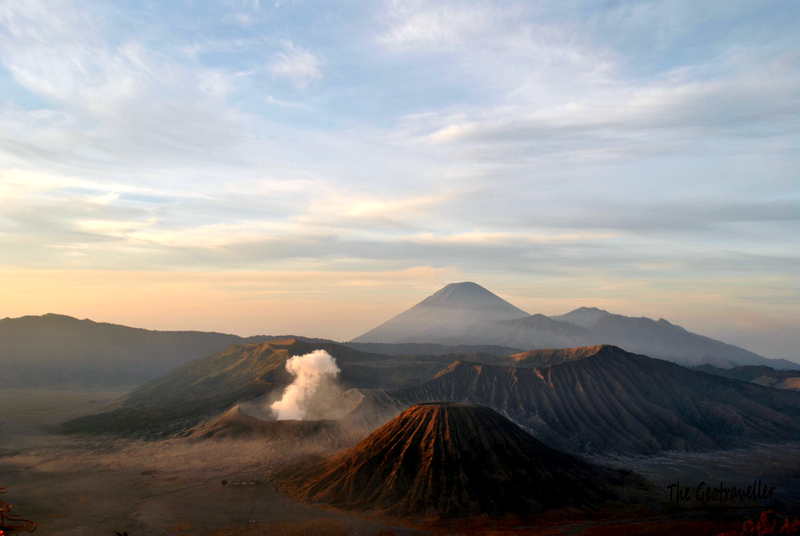 Sunrise with gas spewed out by Bromo. 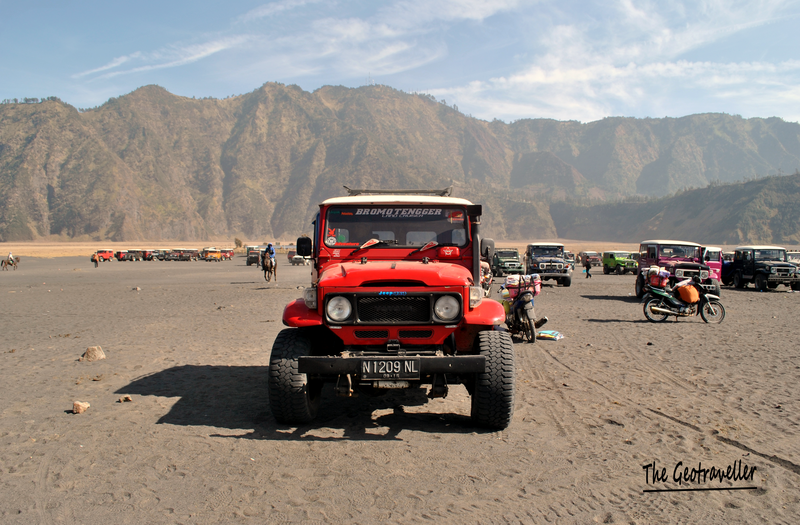 We went down to Bromo again but this time around, I did not hike up to the crater. View captured from the home stay. Jeep that took us up the mountain. My friend used better camera so I tried out his camera. 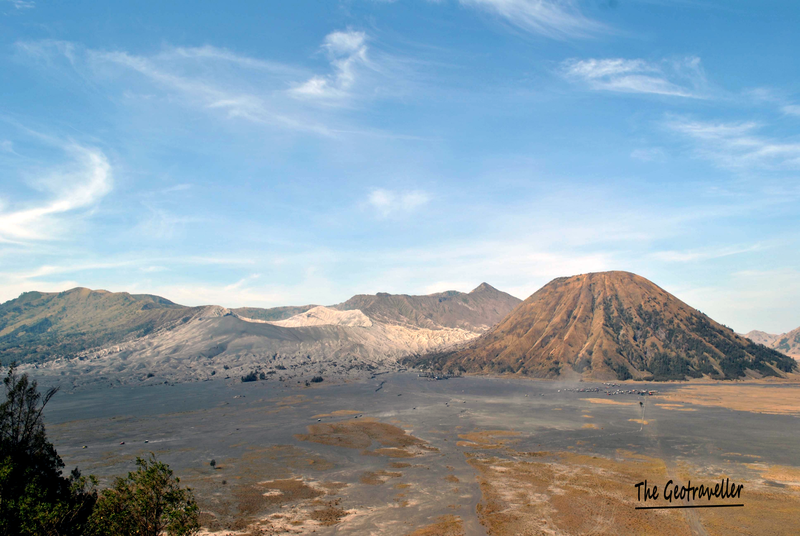 The Bromo Crater. I did not climb the stairs due to exhaustion. 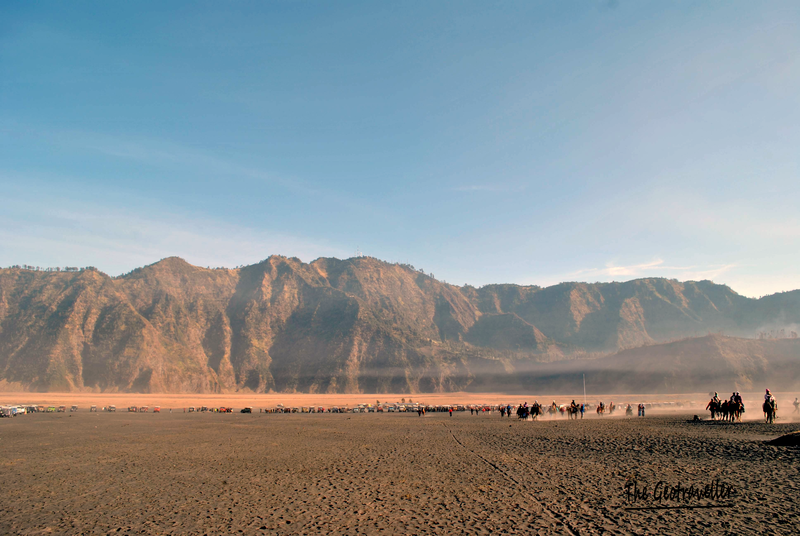 Pura Luhur Poten at Bromo. I was tired as hell. The non stop journey in just 3 days was taking its toll. Ready to go home but I will always am mesmerized by the view here. By the time I was walking back to the jeep, I have made up my mind to return home immediately. I was done with the journey and very satisfied to finally fulfill the wish. In Malang, I changed my flight ticket and slept for another night. Early in the morning, we went straight to Surabaya airport. 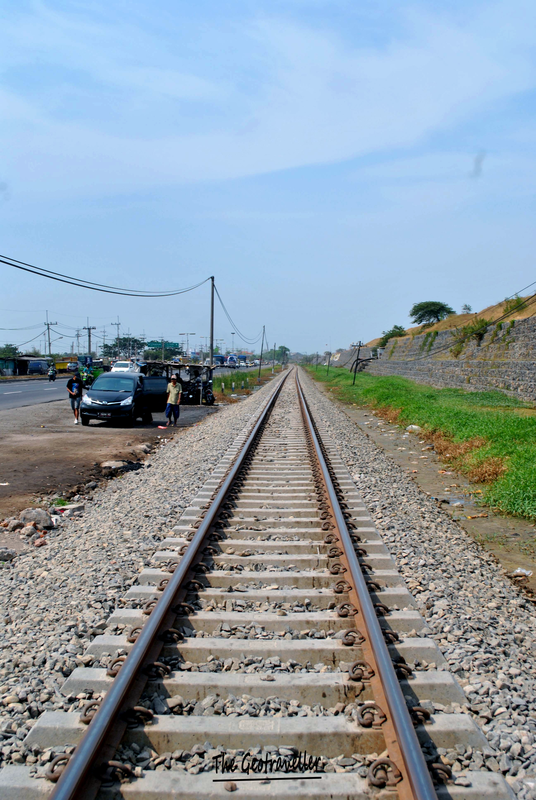 In order to go to the mud, one has to cross a railway track. The local took the opportunity to create their own tourism in this area. We had to pay certain fees. This area used to be a village now buried under 10m of mud. Just to show the scale. 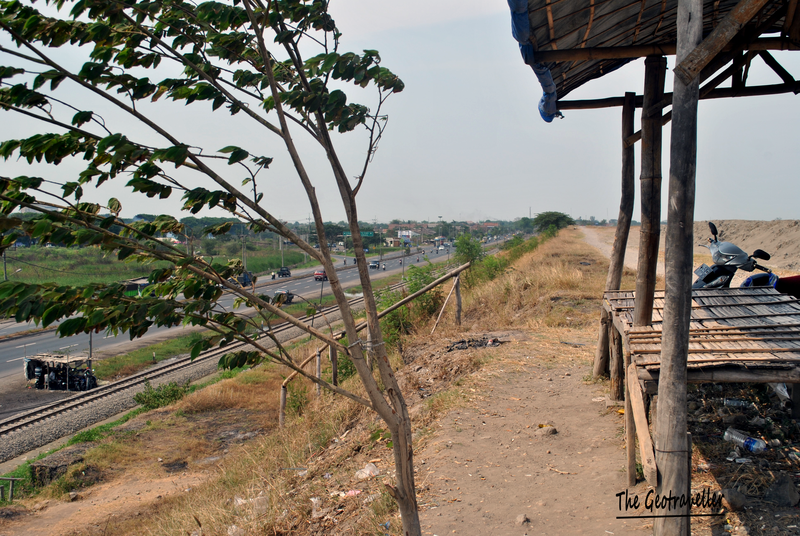 The barrier and the road. I did not have time to travel around Surabaya. So, I left the city and took transit in Jakarta and took a cheap airliner (tiger air) back to Kuala Lumpur. The plane was parked far away from the terminal and I had to use a bus from the terminal to a dark area. And then, I was stranded for few hours because the plane did not get permission to leave Soekarno Hatta. Eventually, I departed Indonesia. Thankfully. It was a reclaim journey. Last time, I did not get to see what I wanted to see. That’s why I am very satisfied with this trip even though it was very tight and short.